Betseys Rock Falls is a high combination of free-falls and cascades, and it's pretty nice if the water is up. Unfortunately, it's a small stream so it dries up in the summer. And, it's on private property so you can't get close to it. 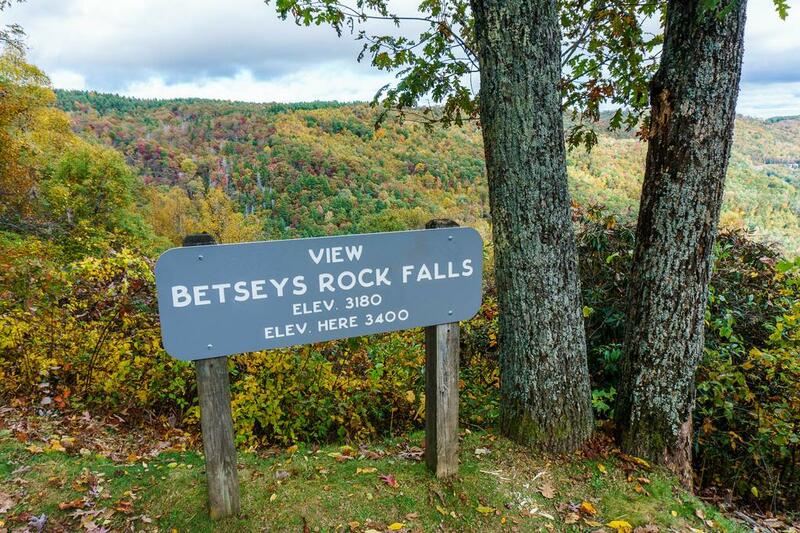 The only way to view the falls is at the Betseys Rock Falls overlook at milepost 268 on the Blue Ridge Parkway. Even from there, the view is distant (the falls is actually in the next county over) and starting to become hidden behind growing trees. From the intersection of US Hwy. 421 and the Blue Ridge Parkway east of Boone, take the Parkway north for about 8 1/2 miles. The overlook is on the right.